If This Then That (IFTTT) is a simple app for iPhone and Android that allows you to automate simple tasks. If you want to email every picture you take to your grandparents or tweet about every breaking news story IFTTT can do it for you automatically. The IFTTT app integrates with many other apps and services which allows it to help with a variety of tasks. IFTTT can integrate with reminders, contacts, photos, messages, Twitter, Google Drive, Facebook, Blogger, Evernote, and many more services. To start using the app you can choose from hundreds of pre-made recipes or make your own. A recipe could say " If I post a new post on Blogger, tweet its title and a link, "or "when I arrive at school,text my mom" The app constantly checks your recipes and completes the action at the correct time. It reduces the need to do many monotonous tasks. It also bridges the gap between different web based services allowing you to spend more time using the services and less time managing your digital life. IFTTT also integrates with certain connected home systems. Using IFTTT in concert with the WeMo connected home platform you can have your lights turn on automatically when you get close to home or turn off the TV when you are far from home. Some of these recipes can be helpful for people with executive functioning difficulties. For example, the app can automatically check the weather, and if it is going to rain remind you to wear a jacket. The possibilities are almost endless because of the customization the app offers. The app can also complete actions based on your location. You can set up the app to call, email, or text message someone when you arrive or leave a certain location. This could be helpful for parents who need to makes sure their kid has arrived to school safely in the morning. For example, you could set your childs iPhone to email you everytime they arrive or leave school. 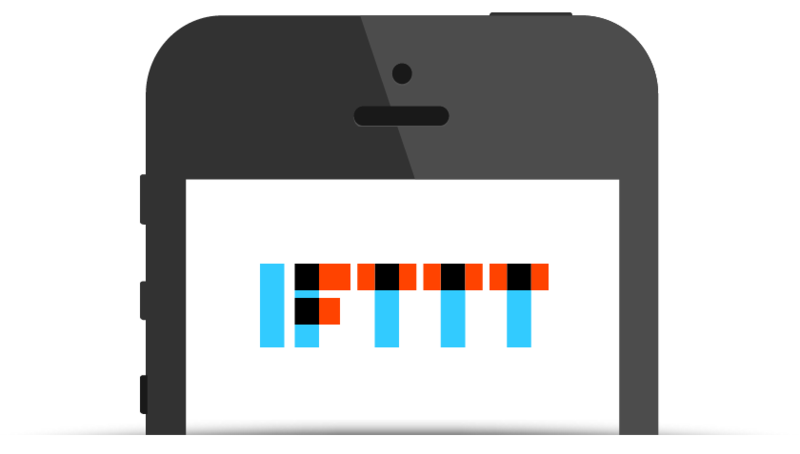 IFTTT has an iOS app and website both are free of charge. Click read more below to view screen shots of the IFTTT app in action. Apple announced Made for iPhone Hearing Aids along side iOS 6 now the first Made for iPhone Hearing Aids are set for release. Apple's partnership with GN ReSound helped to create the LiNX hearing aid. The LiNX connects directly to the iPhone using a special wireless technology. Unlike other hearing aids the LiNX does not use an intermediary device to communicate with the iPhone. Apple says the following about Made for iPhone Hearing Aids on their accessibility webpage. "Apple is working with top manufacturers to introduce hearing aids designed specifically for iPhone. They�ll deliver a power-efficient, high-quality digital audio experience, and will allow you to manage your hearing aid right from your iPhone. Just look for the Made for iPhone label. Explore the FCC's hearing-aid compatibility (HAC) ratings of iPhone." A companion app allows users to change settings directly from their iPhone. The LiNX will cost $3,000 and will be available in 2014. 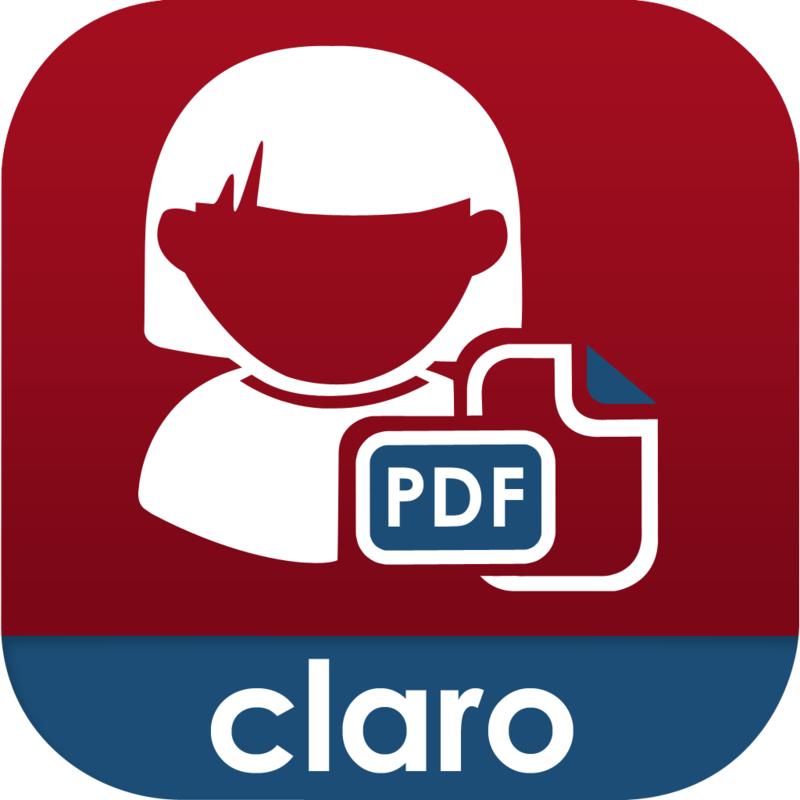 ClaroPDF is an accessible PDF reader with many annotation options. The app uses text-to-speech to read any text based PDF. The app also includes numerous annotations options including highlighting, text boxes, underline, strikeout, shapes, and images. ClaroPDF includes a simple design that matches the interface of iOS 7. Unfortunately, there is no full screen option that hides all controls so you can better focus on your document. To start reading a PDF you can use the open-in feature of many other apps or import a document using Dropbox. Then you can use a number of high quality text-to-speech voices to read the document at up to 240 words per minute. It would be nice to see the maxim speaking rate increased to around 400 word per minutes for people who are able to understand high rates of speech. To start reading the document you can just tap on a word a press the play button. Currently in version 1.2.6 there is a bug that causes layout issues with certain documents. The issue causes documents to not fill the entire screen. Besides a great interface ClaroPDF includes a wide variety of annotation options. These annotations are easy to add and manage. ClaroPDF even includes the ability to add voice notes. One option that is not included is the ability to automatically add text notes to every blank in a document. This feature would significantly speed up the process of filling out forms. ClaroPDF costs $0.99 and works on the iPhone, iPad, and iPod Touch. Watch the video above to see ClaroPDF in action a click read more below to view screenshots of ClaroPDF in action. Click read more below for giveaway details. Retweet and follow the ClaroPDF below tweet for a chance to win one of ten promo codes. Code expires on 12/24/13 and is redeemable only on the iTunes Store for the United Kingdom. Requires an iTunes account, subject to prior acceptance of license and usage terms. To open an account you must be above the age of 13 and in the United Kingdom. Compatible software and hardware, and internet access (fees may apply) required. Not for resale. Full terms apply; see www.apple.com/legal/itunes/ww/. For more information, see www.apple.com/support/. By combining the ease of hand writing, the power and accessibility of Apple's iOS devices, and audio, the Livescribe 3 Smartpen is a powerful tool. With the smartpen you can start writing on a pad of paper and see your handwriting appear on your iPad or iPhone almost instantly. When taking notes It can record audio that is linked to your handwriting, allowing you to easily hear what was happening exactly when you were writing. It can easily search through notebooks of handwritten pages to find the right note in an instant, and it allows you to share your notes with anyone without copying or scanning. The Livescribe 3 Smartpen is not just a refinement of last year's Sky Wifi Smartpen. The Livescribe 3 Smartpen adds new functionality by pairing it with an iPhone, iPad, or iPod Touch. The Livescribe 3 is still capable of syncing handwriting and audio, but instead of recording the audio from a built in microphone, the recording happens on an iPhone or iPad paired to the pen with Bluetooth. With the pen connected to an iOS device using Bluetooth, features like handwriting recognition and cloud based storage options are handled by the iOS devices. Most of the pens functionality is handled with the free Livescribe+ app that seamlessly manages the Smartpen. Read on to find out more about the Livescribe 3. The Livescribe 3 is a sleek and streamlined device that is about the same size as some thicker standard pens. The pen twists open to reveal the ball point tip. No more forgetting to turn on your pen, it turns on automatically when the tip is out. At the bottom is a special camera that allows the pen to track its location on the page. At the top of the pen is a stylist tip. The stylist tip hides a micro-USB charging port. Speaking of charging, Livescribe claims the pen gets 14 hours of battery life. At the top there is also an indicator light that shows the status of the pen. The Livescribe 3 uses advanced Bluetooth to connect to the companion app. The pen only supports Apple devices because they have the widest compatibility with the new Bluetooth standard. Livescribe may support Android devices when advanced Bluetooth is more widely available. The pen is compatible with iPhone 4S and newer, iPad 3rd generation and newer, and iPod Touch 5th generation. The companion app requires iOS 7. The Livescribe 3 requires a special dot paper that Livescribe sells on their website. Some may think of this a negative, but the Livescribe notebooks come in a variety of sizes and are competitively priced. The Livescribe+ app is the brains of the Livescribe 3 smartpen. The pen sends your notes to the app over Bluetooth and then processes the handwriting and turns it into digital text. The app makes it easy to review notes in a page view or list view. Because the app turns handwriting into digital text, it is simple and fast to search through your notebook. You can search by keyword and easily find all associated notes. Once your handwriting has been converted to digital text you can use the built in iOS Speak Selection feature to have your note read aloud with text-to-speech. The handwriting recognition was amazingly accurate even with my sloppy handwriting and if it does make a mistake you can manually correct it. If you write down a phone number or an address you can save the information as a contact with one tap. If you write down a homework assignment you can save it directly into your Reminders list which is a nice touch. Using an iOS device as the brains of the smartpen allowed Livescribe to remove the screen, speaker, microphone, and wifi which considerably slimmed down the pen. Using an external microphone eliminates the writing noise that the Sky Wifi Smartpen picks up. Taking the microphone out of the smartpen does not come with out compromise. Because the smartpen relies on the iOS devices microphone you can not record audio without an iOS device nearby. You can still capture your written notes and sync them next time you have your iOS device handy. For some who don't always have their device close by, but still want to record audio the Sky Wifi Smartpen is a great option. If you always have your device close by this won't be an issue. Sharing your notes is one area where the Livescribe+ app really shines. Using the standard iOS 7 share sheet you can share your notes to any app that supports PDFs. This includes Evernote, Dropbox, Google Drive, and many others. Currently recipients of your documents that don't own an iOS 7 device can only view your handwriting and cannot play back the audio and linked notes known as a pencast. It is really unfortunate that the ability to view pencasts on desktops and Android devices was not present at launch. The Livescribe 3 can benefit many people who need to keep useful notes for work or school. It can be especially useful for students with learning disabilities who struggle to take or keep notes. For example if a teacher is talking about graphing points and the student gets distracted, he can easily go back in his notes and listen to the audio at a later time. Teachers and special educators who have multiple students who get class notes provided as an accommodation can easily use the Livescribe+ app to share the note instantly with everyone in the class. This eliminates the need for hard-to-read carbon paper or delays due to photo copying. For people who struggle with organization, the ability to search for notes maybe enough of a reason to purchase the pen. Using a conventional ball point pen for writing is much easier than using a stylus to write on an iPad. The Livescribe 3 gives you the ability to write with a ball point tip while still getting all of the benefits of having your notes on your iPad. The Livescribe 3 Smartpen and Livescribe+ app have really solid features that have benefits right out of the box. If you decide to buy the pen you should decide to because of the features currently available, but with very capable hardware and the flexibility of an iOS app Livescribe could and should continue to improve the product. One feature that I would like to see added is the ability to speed up and slow down audio playback. Variable playback speed makes it easy listen to more audio in less time. With the Sky Wifi Smartpen this was an option, but it is not currently available in the Livescribe+ app. Audio transcription is another feature that would be a great addition to the Livescribe+ app. Imagine listening to a lecture and having the entire text transcript of the professor even if you weren't able to write everything down. With improving speak recognition software this feature is probably technically possible. The Livescribe 3 starts at $150 for the starter edition. A pro edition with a darker finish, larger leather starter notebook, replacement ink, one year premium Evernote access sells for $200. Both editions are avalible from Livescribe's website. Fantastical 2 is a well designed calender app for the iPhone. Many say Fantastical is the calendar app Apple should have made and I would agree. 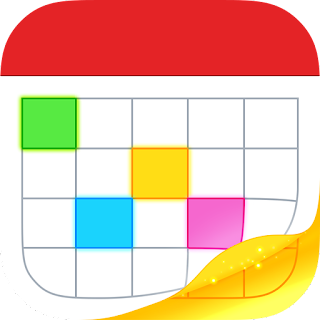 Just like the default calender app for the iPhone Fantastical is easy to use and syncs with all of your online calenders. But Fantastical includes some great features that makes scheduling, managing, and viewing your calender events easy. Thes are features that the default calender app does not include. Creating events is easy, you can type or speak in natural language to create an event. If you type "lunch with study group at 1 in library" the app will automatically fill the correct information into a new calender event. Fantastical also includes a five day view that gives a great visual look at your week ahead. The month view also provides more visual information than the default calender app. Fantastical also integrates with Reminders and displays your Reminders along with your calender events. The app includes many features that allows users to customize the look and function of the app. Fantastical's visual design and easy event creation feature makes staying organized easy. Fantastical can help people with memory loss or executive functioning difficulty to stay organized. With Fantastical you only have to check one app to keep up with your calender and reminders. Fantastical's latest update improved VoiceOver compatibility, but there remains some very minor VoiceOver issues. These issues make learning how to use the app slightly harder for VoiceOver users, but once familiar with the function of the app VoiceOver users should have no problem using the app. The developer has expressed that they take accessibility seriously which is great to hear. Watch the above video to see Fantastical 2 in action and click read more below to view screenshots of the app. Fantastical 2 for iPhone costs $2.99 on the App Store. "Accessible books can break down reading barriers and open a new lifeline to reading to go back to school, learn a new vocation or read for pleasure." A membership provides an individual with electronic books that can be read with text-to-speech or used with a braille device. This makes reading possible for people who are blind, low vision, physically disabled, or dyslexic. Interested veterans can find more information by visiting Bookshare's veterans site. People interested in Bookshare who are not veterans can visit Bookshare.org. 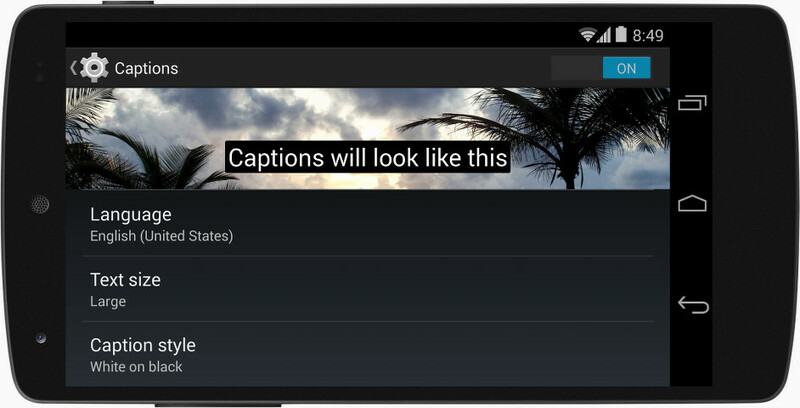 Both iOS 7 and Android KitKat include the ability to customize captions. Now both major mobile operating systems include the ability to customize movie and video subtitles system wide.. For iOS, the customization settings are under Settings > General > Accessibility > Subtitles & Captioning. From that menu you are able to change the appearance of subtitles of any video played through the default iOS video player. There are many options for customization including font, font size, font color, and background color. Android includes a similar feature that can also be accessed in the settings menu. These options are a welcome addition to mobile devices and can make subtitles much easier to see. It is great to see both Apple and Google improving accessibility on their mobile products. This week Apple announced a variety of new hardware and software products at media event. While Apple executives didn't devote stage time to accessibility announcements as they have in years past, the announcements still impact accessibility and assistive technology. Apple previewed OS X Mavericks at their World Wide Developers Conference (WWDC) in June. This week Apple released the Mac operating system to the public and announced that it would be a free update. Like iOS 7, Mavericks includes some exciting accessibility improvements including enhanced dictation and Switch Control. Click to read more about each new feature. The main focus of the event was updated iPads. Apple released a new full size iPad named iPad Air. The iPad Air is considerably thinner and lighter than the previous full size iPad. In addition to the slimmer design Apple included the new A7 processor which increases performance. The iPad mini was also updated to include a higher quality retina display and is now called the iPad mini with Retina display. Notably, the new iPads don't include Apple's new Touch ID finger print sensor that debut on the iPhone 5s. Apple updated their iLife and iWork software for both the Mac and iOS devices. The updates have some useful new features, but I have not found any new accessibility features in these updates. Notably, Apple's education focused iOS apps iBooks and iTunes U were not updated. I'm hopeful that these apps will be updated soon and include new features. In particular, I hope Apple adds improved text-to-speech integration for iBooks. In particular I hope a "read" or "speak" button will be added to allow continuous text-to-speech with highlighting for all books. Currently continuous text-to-speech with highlighting is not possible in iBooks. iOS 7.0.3 is a minor update to iOS 7 but the new release includes a few accessibility improvements. In iOS 7.0.3 the reduce motion accessibility setting decreases navigation animations. This is designed to limit motion sickness that some users reported after updating to iOS 7. iOS 7.0.3 also includes VoiceOver fixes for a sensitivity issue that was present in previous versions of iOS 7. Apple's new and free Mac operating system called OS X Mavericks includes a new accessibility feature called Switch Control. Switch Control allows switch users to navigate and use their Macs. Switch Control allows switch users to interact and control their Macs. Switch users are users who are only able to activate a few large buttons and who don�t have the ability to interact with the complexities of a keyboard or mouse. For example, a quadriplegic may be able to activate switches mounted on their wheelchair with their head. Switches come in all different sizes and configurations but they give users who are unable to interact with the keyboard or mouse the ability to control their computers. It is exciting to see Apple continuing to improve OS X accessibility as well as iOS accessibility. Switch Control on the Mac is similar to other switch interfaces and very similar to Switch Control on iOS 7. Click here to read about Switch Control for iOS 7. Watch the above video to learn more about Switch Control on OS X Mavericks. Click here to download OS X Mavericks. Apple's newly released and free OS X Mavericks includes a cool new feature called enhanced dictation. Dictation allows users to speak to their computer and have their words converted to text. Dictation can be beneficial to poor spellers and people with dyslexia. The new feature allows users to dictate without an internet connection by downloading the speech recognition engine onto their Mac. In previous versions of OS X users could dictate to their Macs, but an internet connection was required. With the new enhanced dictation words also appear as you speak instead of having to wait for your words to appear. Watch the above video to learn more. Click here to download Mavericks from the Mac App Store. Have You Ever Wondered How Text-To-Speech Voices Are Made? The Verge has a cool video about how text-to-speech videos are produced. Given that so many assistive technologies rely on text-to-speech voices it is interesting to learn how they have been improved over the years to sound more realistic. One of the most well known applications of text-to-speech is Apple's Siri. The video features Nuance the makers of Dragon. The Timely Time Teller app is a simple app for iOS that gives you repeating alerts at set intervals. When alerts are turned on Timely verbally tells you the time at set intervals. For example, Timely could alert you of the time every 15 minutes. I found this helpful when rushing to get ready for school in the morning, with Timely giving me updates on the time I don't have to worry loosing track of time. When the app says, "seven o'clock" I know I have to be eating breakfast if I don't want to be late. Similarly, I found the app very helpful when bike riding instead of stopping and taking my iPhone out of my pocket Timely tells me the time every 15 minutes. When the iPhone is on silent Timely will vibrate at set times. Unfortunately the vibrate feature isn't very useful because you can distinguish a Timely alert from a text message or email notification. It would be more helpful if the vibration was different from other notifications. 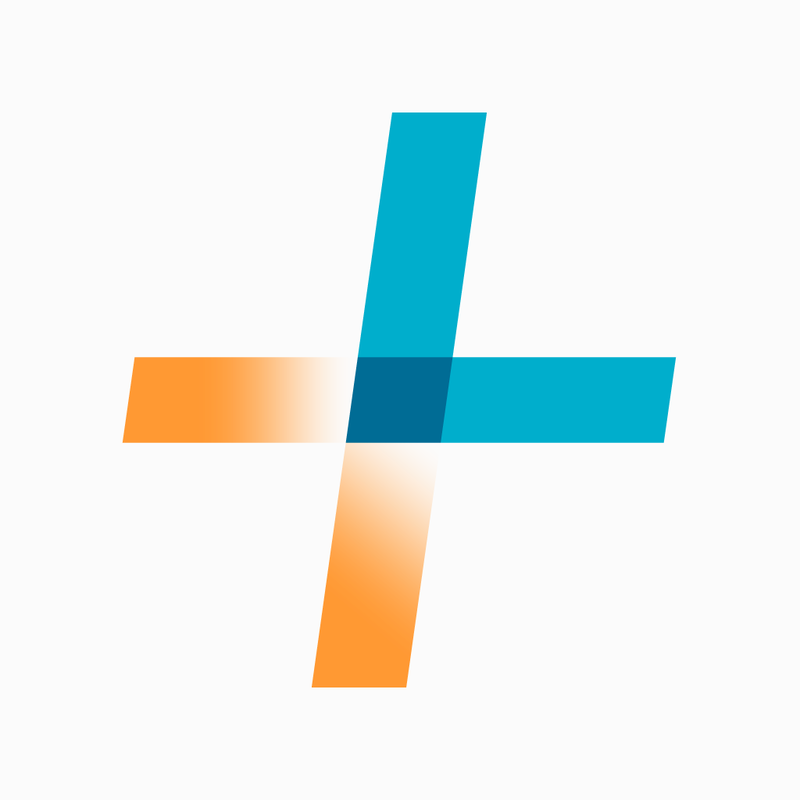 In all Timely is extremely simple, but can be a helpful tool. It could be especially beneficial for people with executive function difficulties. Click read more below to view screenshots of Timely in action. Click here to view Timely in the App Store. Today Apple sent invitations to members of the media for an October 22th event. The event comes just weeks after the release of the iPhone 5s and iPhone 5c. Rumors have suggested that the event will focus on an updated full sized iPad and an updated iPad mini. The full size iPad will likely feature a new design with smaller side bezels similar to the iPad mini's design. It is also possible that the new iPad models will include some of the new features found on Apple's latest iPhone possibly even the Touch ID finger print sensor. Of course all of this remains speculative until Apple officially confirms the details. If you are in the market for a new iPad it is difinitely recommended to wait and see what Apple will announce next Tuesday. 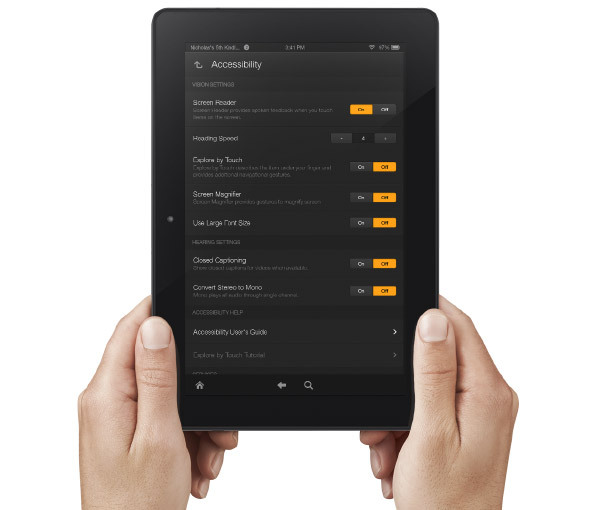 Amazon's newly announced Kindle Fire HD and Kindle Fire HDX include built in accessibility features. Historically, Amazon has been slow to make their Kindle products accessible. With the new accessible Kindle Fire and accessible Kindle app for iOS Amazon maybe turning a new page. That being said, Amazon still doesn't want to make their Kindle eReaders accessible and has requested an exemption from the FCC. 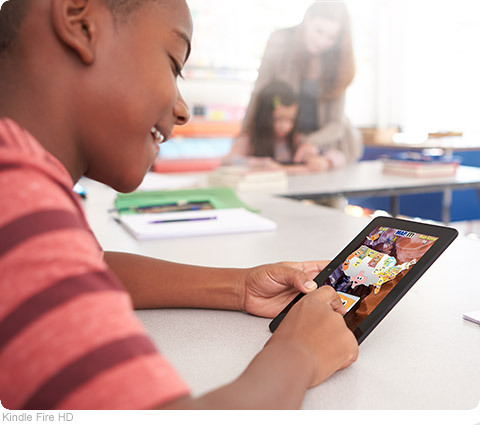 The new Android based Kindle Fire tablets includes accessibility features for the blind, low vision, hearing impaired, and mobility impairments. For the blind and visually impaired the Kindle Fire includes a screen reader that can describe what is taking place on screen. There is also Explore by Touch which allows users to use gestures to navigate items one-by-one. For low vision users the new Kindle Fire tablets include a screen magnifier which is activated by a triple tap on the screen. There are also large font size and high contrast options to benefit low vision users. For users with mobility challenges the Kindle Fire can be controlled with a Bluetooth keyboard. For dyslexic users the Kindle Fire includes Immersion Reading which synchronizes the text and audio version of a book. With Immersion Reading the text is highlighted as a professional reader speaks. It is important to note that to use Immersion Reading you must own both the Audible audio version and the Kindle ebook version which can be costly. While it is very exciting to see Amazon improving their accessibility features other tablets such as the iPad include more robust accessibility features. The Kindle Fires also include a "Mayday" button that allows you to connect with technical support at anytime. The support person can then help walk you through using different functions of your tablet. This "Mayday" button could be useful especially for new tablet users. The Kindle Fire is available in 7 and 8.9 inch form factors both sizes are available in HD or more powerful HDX variety. The cost ranges from $139 to $229 depending on the size and features. Click here to purchase from Amazon. Click read more below to view a video about Immersion Reading. Apple�s new mobile operating system is out for iPhone, iPad, and iPod touch. iOS 7 includes many useful features for all users regardless of ability. One feature that can benefit people with visual impairments is system wide large font. With this feature enabled a user can select a larger font size for use in all compatible apps; the only caveat being that app developers must build in support for this feature. Once widely implemented by app developers this feature will make it easy to have the perfect text size in all your apps. Instead of selecting a preferred font size in each app users will be able to choose a font size once for all their compatible apps. To enable larger type go to settings > general > accessibility > larger type. The Macally iKeyLT is a full sized wired keyboard for iOS devices with the lightning connector. The iKeyLT version is designed for devices with the lightning connector while the iKey30 is designed for devices with the 30-pin connector. The keyboard has a solid and responsive feel. It has a standard layout and also includes a number of buttons specifically for iOS devices. For people who struggle to type on their iOS device the iKeyLT offers a solution. Unlike many other keyboard accessories, iKeyLT is a wired keyboard that plugs directly into the iPhone, iPad, or iPod Touch. In most situations Bluetooth keyboards are more convenient, but it some situations a wired keyboard does have advantages. With the wired keyboard there is no need for extra batteries, because the power is drawn from the iOS device itself. Also, in some testing environments wireless devices are not allowed. One downside is that because the keyboard plugs directly into the iPhone, iPad, or iPod Touch it is not possible to charge the iPad and type at the same time. This would only become an issue if the iPad was low on battery. The iKeyLT also comes with a external stand so you can position your device for easy viewing while typing. Unfortunately the small stand does not attach or connect to the keyboard in anyway so it is easy to misplace. The iKeyLT costs $60 and can be purchased directly from Macally. Click read more below to view more images of the iKeyLT. Apple�s new mobile operating system for iPhone, iPad, and iPod Touch includes the ability to redeem iTunes gift cards with the camera instead of manually typing long codes. To redeem a gift card with the camera go to the iTunes Store, App Store, or iBooks Store and hit redeem at the bottom of the featured page. Then choose to redeem the gift card with the camera. You can use either the front facing or rear facing camera. To redeem the gift card just point the camera at the back of the gift card and the code is automatically redeemed. This new feature makes it possible for the blind and visually impaired to redeem gift cards without sighted assistance. Also, iOS 7 eliminates the need for sighted users to type in long and complicated codes. iOS 7 is available now for iPhone, iPad, and iPod Touch. iOS 7 is Apple�s new operating system for iPhone, iPad, and iPod Touch. iOS 7 includes a complete redesigned look and many new features. Siri in iOS 7 has learned some new tricks that can benefit users of VoiceOver and the other built in accessibility features that iOS offers. The feature allows you to ask Siri to turn on and off different accessibility settings using your voice. For example you can say, "turn on VoiceOver" and Siri will turn on VoiceOver in seconds. This feature will make iOS accessibility features easier to find and access. If a VoiceOver user is presented with an iOS device with VoiceOver turned off and triple click home disabled they could use this new feature to ask Siri to turn on VoiceOver. Besides accessibility settings Siri can also change other settings such as brightness, Bluetooth, and Wi-Fi. Apple�s newly released iOS 7 includes many new features and improvements. iOS 7 runs on the iPhone, iPad, and iPod Touch. Users will notice changes as soon as they boot up their iOS 7 device for the first time. But this release allows a group of users to use iOS for the first time. Just as VoiceOver allowed the blind and visually impaired to access the iPhone, Switch Control now allows switch users to navigate and use their iOS device. Switch users are users who are only able to activate a few large buttons and who don�t have the ability to interact with the complexities of a touch screen. For example, a quadriplegic may be able to activate switches mounted on their wheelchair with their head. Switches come in all different sizes and configurations but they give users who are unable to interact with the touch screen the ability to control their devices. Switch Control for iOS is similar to other switch interfaces, a cursor scans around the screen and when a switch is activated the user is given options to interact with that object or button. For example, a cursor will scroll through all the app icons on your home screen and when the switch is activated it will open the selected app. Click read more to learn below to learn more about Switch Control on iOS 7. Switch Control can be used with external switches connected to the device via Bluetooth. Switch control can also use the front facing FaceTime camera to recognize a user�s head movements. A third option allows the entire touch display of your iOS device to be used as a switch. Once you have a switch you can choose its action. A switch can control scanning by controlling the cursor or can be used to control system functions such as activating Siri, notification center, or the app switcher. Switch Control is extremely customizable to fit the needs of many different users. The settings can be accessed by going to Settings > General > Accessibility > Switch Control. The speed at which the cursor moves can be change for faster navigation or easier use. The cursor can also be set to pause on the first item. There are also switch stabilization settings to increase or decrease hold duration and also to ignore repeat. Switch Control can also speech items to the user as the cursor highlights items. The cursor size and color is also customizable. Similar to Assistive Touch Switch Control allows saved gestures to be saved and activated later. A cursor highlights the elements or groups of elements on the screen. Activating the switch selects the group and then pressing the switch again activates an element. This process allows users to select apps from the home screen, keys on the keyboard, and other buttons. A secondary menu can also be activated with options specific to that element. The menu includes options to tap the element, scroll, activate saved and pre-set gestures, activate device functions such as volume, and shortcuts to change Switch Control settings. On elements such as volume sliders you are also given the option to decrement and increment. The gesture menu gives you the option to flick, pan, pinch, tap and hold, drag, drag and hold, double tap, freehand, and access saved gestures. Amazingly, these gestures can be precisely controlled through one switch by following on screen options. For scrollable list you can activate the �scroll� submenu. As with most accessibility features, support for Switch Control with third party apps unpredictable. Luckily, VoiceOver has laid the ground work for Switch Control. As I understand, Switch Control and VoiceOver use the same accessibility elements. This an app that works with VoiceOver will work with Switch Control and vice versa. This makes app developer�s jobs much easier. Switch Control is one of many great new accessibility features in iOS 7. Switch Control will allow a whole new group of people (switch users) access to the iPhone, iPad, or iPod Touch. Like all of Apple�s accessibility features Switch Control is available on all iOS 7 devices and works out-of-the-box.